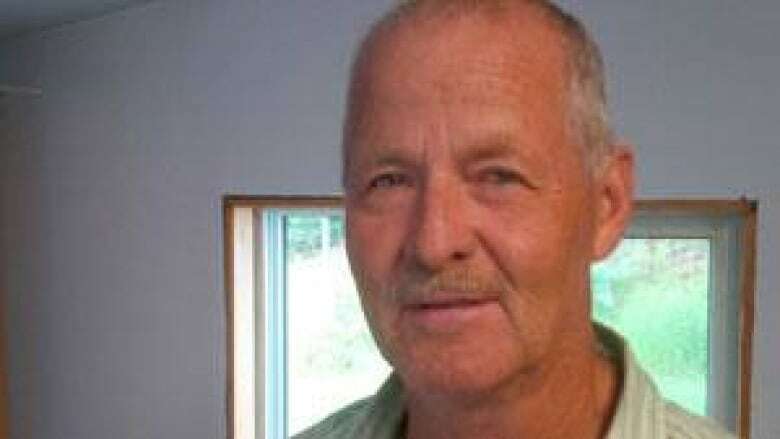 The daughter an eastern Ontario couple who died when a pickup truck struck their bicycles on a northwestern Ontario highway says their family is numb. The daughter of a couple who died when a pickup truck struck their bicycles on a northwestern Ontario highway says their family is numb. 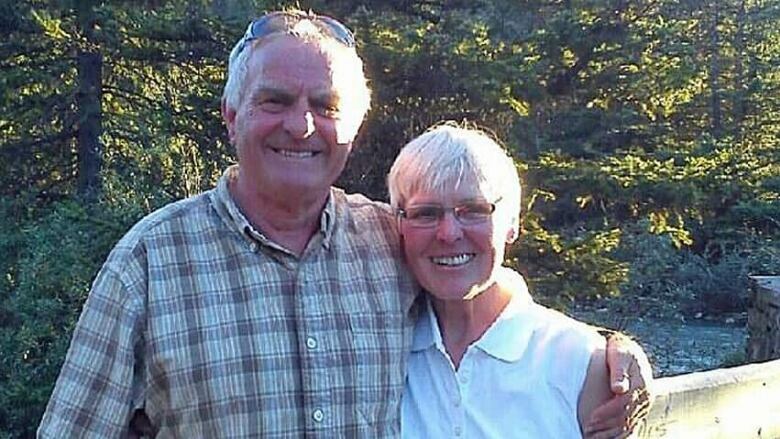 Robert Booth, 65, and Irene Booth, 69, of North Glengarry Township were cycling across Canada from Vancouver with a group of about 23 others when they were hit by a vehicle Tuesday afternoon, near Nipigon, Ont. "We were keeping in touch and they were just looking forward to their break here," said Sally Booth. She said her parents were going to stop in North Glengarry to visit their grandchildren. "They really missed the grandkids," she said. "They grow so fast, they change so quickly and they were missing it." Booth said they were an active couple and that this was the first time they set out across Canada as a couple. She said she spoke with her mother the night before the deadly crash and she was worried about the dangerous stretch of road ahead. "Mom had said that ... the next couple of days would be the hardest in terms of terrain, hills and curve," Booth said. "So I think she was just waiting to get past that." 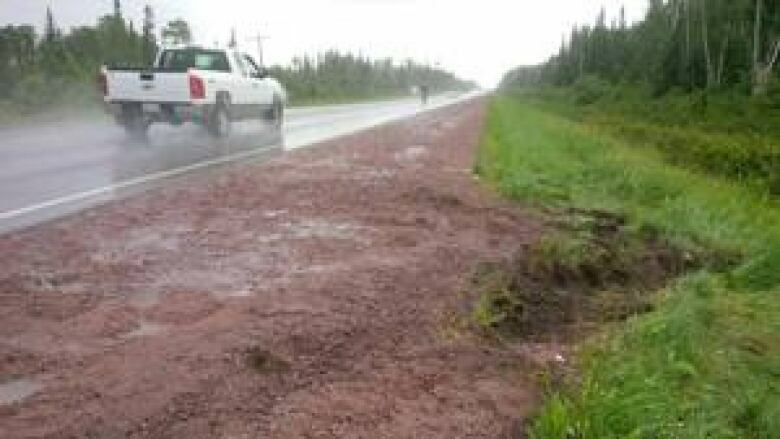 Booth said she has seen the straight stretch of road where the accident happened, adding she just doesn't know how it could have happened. "When we initially heard of it we thought maybe it was on a hill or a curve," Booth said. "And that the driver maybe didn't see them until the last minute. But when you see the stretch of road and see how straight it is, it just doesn't make any sense." Cody Allen knew the couple and described them as the kind of people "who make you smile." He said they were easygoing and down to earth. Allen became acquainted with the Booths at the Ottawa-area sleep clinic where he works and where they were clients. They were outgoing and fun to talk to, he said, adding that "they were a team. She really looked after him and made sure his health was good, and vice versa. Just a great couple ... You could tell those two had been together through thick and thin." Allen said the Booths had told him about their plans for a cross-Canada bicycle trip. "It was kind of like on their bucket list of things to do. I know that they were quite excited about it and I was amazed that at their age they were able to get on a bike and travel that distance." He said he was shocked when he learned Wednesday about the couple's deaths, because in their last conversation he told them he would touch base in the fall after they returned from their trip. It is sad to see this kind of tragedy happen to a couple "doing something healthy and doing something they loved," said Allen. The cycling tour was organized by Tour du Canada with administrative support from Cycle Canada, which is run by the Veloforce Corporation of Alliston, Ont. Tour du Canada is a non-profit corporation founded in 1987 by Bud Jorgenson. Jorgenson told CBC News the deaths have left the other members of the group devastated. He said it will take a long time for them to recover, but all of them have decided to continue the journey, partly to honour the shared goal they had with the Booths when the group set out from BC on a ride to Newfoundland. Near the site of the accident on Highway 11-17, Phil McGuire recalled Wednesday what he saw and heard Tuesday afternoon as he was riding a tractor at his farm and greenhouse operation. "I was moving some dirt not far from the highway. I heard a big crash, and when I turned around and looked, there was a bunch of [debris] flying across the highway," he said. "There was a big mess there." McGuire said he knew it was bad so he immediately called 9-1-1, adding that it seemed to take "forever" for the ambulance to arrive, when it was probably only a matter of minutes. He said he has seen a few accidents on the highway since he moved to the area in 1990, but nothing involving cyclists. "This is one of the worst ones ever ... because usually people have just been injured." Ontario Provincial Police said the pickup truck that struck the cyclists was driven by a 66-year-old man from Austin, Texas. He was one of four people sent to hospital with non-life-threatening injuries after the collision, which also involved a second pickup truck and a tractor-trailer.